Whether you oversee the operations at a single facility or are in charge of several locations, it can be overwhelming to stay on top of HVACR maintenance. Seasonal checks are recommended to keep heating, cooling and ventilation systems in best working order, but staying on top of this schedule isn’t easy. Instead of trying to remember the regular maintenance tasks, consider working with a HVACR service contractor. As the experts, a HVACR contractor is familiar with various heating, cooling, and ventilation systems and facilities. This breadth of experience makes your contractor a resource for you as well, as they can assist with price recommendations for system improvements, replacements, and efficiencies. You’re the expert at how your facility runs and the average energy consumption you can expect through each season. Partnering with an HVACR contractor gives you access to more resources in the world of energy efficiency. The best HVACR contractors have a working relationship with state utilities or non-profit programs that are focused on finding energy efficient solutions for facilities. Working alongside a contractor like VHV not only gives you the expertise of a larger and more experienced team, but their existing partnerships with these energy programs can provide innovative and cost-effective solutions when the next systems upgrade becomes necessary. Establishing a contract with a HVACR service company has its benefits. Your HVACR contractor will become familiar with your heating and cooling systems, and will work with you on preventative care to keep you ahead of a systems failure. Staying on a regular maintenance schedule with your contractor gives you the added benefit of having a number to call when systems start to behave abnormally to address any issues before a failure can occur. Dave Robistow leads VHV's service department. 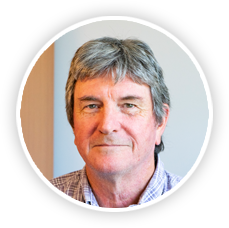 Dave has been with VHV for over 40 years, and brings decades of experience in HVAC/R systems to team.